India will host the G20 Summit in 2022 when the nation would be celebrating 75 years of Independence, PM Narendra Modi declared it on Saturday during the G20 Summit in Argentina. India will be hosting the event for the first time. The G20 is the group of world's 20 major economies. It started out in 1999 as a meeting of the finance ministers and central bank governors, but in 2008, the head of the member states met for the first time to discuss the financial crisis. In a final statement from the two-day gathering in Argentina's Buenos Aires, that has proved to be a major test for the G20, members called for reforms to the crisis-stricken World Trade Organization amid growing global trade tensions. With a rise in nationalist sentiment in many countries, the group, which accounts for two-thirds of the global population and 85 percent of the global economy, faces doubts over its ability to deal with trade tensions and other geopolitical differences among its members. 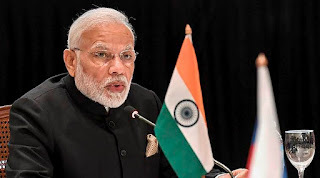 India presented a nine-point agenda to the G20 countries on Friday, calling for "strong and active cooperation" among them to comprehensively deal with fugitive economic offenders. On Saturday, Prime Minister Narendra Modi met Chinese President Xi Jinping for the fourth time this year as the two leaders agreed that there had been a "perceptible improvement" in bilateral ties after their April summit in Wuhan and expressed hope that 2019 would be an even better year for ties between the two Asian giants. PM Modi also met European Council President Donald Tusk, European Commission President Jean-Claude Juncker and German Chancellor Angela Merkel here and discussed ways to strengthen the India-EU relations, including joint effort to counter terrorism. Q. When will India for the first time, host the G20 Summit?